This has been a very busy week in terms of HTC news and to finish it, lucky owners of HTC Desire HD and Inspire can now enjoy the first custom ROM loaded with Sense 3.5. XDA Recognized Developer capychimp, responsible for bringing you the first ROM with fully working Sense 3.0, amazes us again with the latest installment of HTC’s famous Sense UI. 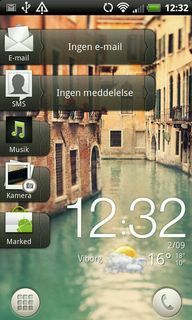 This ROM is based on Bliss WWE RUU 1.10.401.0 Android 2.3.4. This is the first release and some bugs are expected but as with other releases, you just need to give it some time for it to be fully functional. Please let the developer know about your experience with the ROM by leaving your feedback. Continue on to the ROM’s original thread.